New Client & New Referrals are entered in our Drawing to win a Flat Screen 19" T.V. Just fill out the form below and make an appointment for your hair service, next let us know your a new customer and you want your name in the drawing for the flat screen. Scan this QR code with your mobile phone for specials. We have been in business in Pembroke pines, FL for over 25 years and have studied under top stylist from around the world. We stay up on the latest trends, from edgy cuts and colors, to long bouncy runway curls. Our client base is generational at Genesis Hair Boutique. We offer the highest degree of customer service. 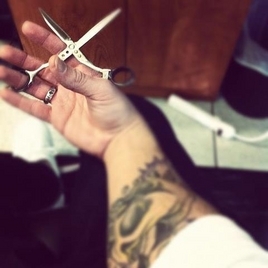 More than just hairstylist, we are passionate about what we do, love it, and take pride in our work. We aim to please and give our clients exactly what he/she wants. We promote healthy and beautiful hair. Please know that hair consultations are complimentary. We like you to feel confident with something as important as your appearance. 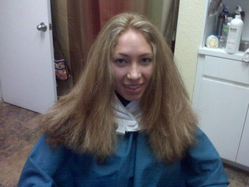 We look forward to being the salon to make you feel amazing about yourself. 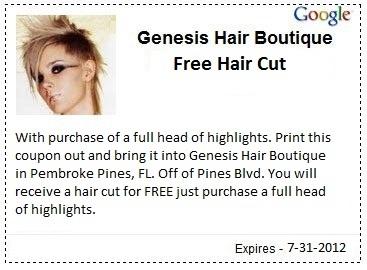 "The Best Hair Salon In Pembroke Pines"
At Genesis Hair Boutique, we specialize in promoting healthy hair. We are advocates against over processing and over-styling hair. Our approach to hair is simple and carefree...We use Paul Mitchell products as well as top of the line hair products we stand behind. Great salon to go to if you want healthy hair! I got a great haircut. Next time I will go for color. Fill out the form below to reserve an appointment date, then will we contact you with your schedule.